Jorge Benjor, the music that stays with us! Jorge Ben, also known as Jorge Benjor, is not only a great musician and songwriter but has pretty much created his own music style. He became popular around the same time as Bossa Nova which was the prevalent music style in the main cities of Brazil, but most importantly in Rio de Janeiro and São Paulo. Benjor came up with his own brand of samba. The song “Por Causa de Você Menina,” released in 1963 on the album “Samba Esquema Novo,” showed his new approach to samba and it wasn’t Bossa. It was, nevertheless, readily embraced by the same youth who loved Bossa Nova. 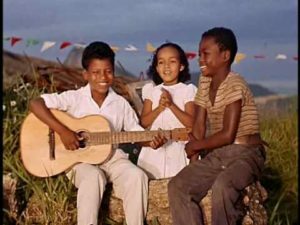 The young people of Brazil in the late 50’s and 60’s needed to have their own music and sound – something they could relate to and that represented their generation. Benjor was it. 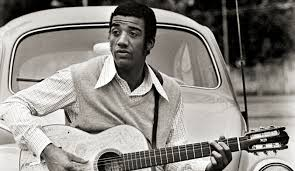 Born in Rio de Janeiro in 1942 as Jorge Duilio Lima Menezes using the stage name first as Jorge Ben and later Jorge Benjor, Jorge Ben chose his name after his mother who was of Ethiopian origin. Benjor’s music has always been based on samba and the beat of the escolas de samba of Rio. His brother introduced him to jazz and American music, including rock, as well. The way he was discovered was one of those interesting stories. Benjor was in a club performing his “Mas Que Nada” where an executive from the record label Phillips was present. One week later his first single with “Mas Que Nada” was released. It is still today one of the most popular songs in Brazil. Sergio Mendes made “Mas Que Nada” a huge international success as well. I once asked Sergio how he found “Mas Que Nada” noting that Sergio has been living in the U.S. since the 60’s. He said that he used to see Jorge Benjor performing in Rio. “Mas Que Nada” with Sergio Mendes became an international success. I once also asked Jorge Benjor how “Mas Que Nada” came about. He said that he used to see this beautiful girl walk by, he would sing and talk to her. She would say “mas que nada” or “let it be” and walk away. That was the beginning of a great song. Remember that “Mas Que Nada” is also one of the biggest songs in the U.S. and it is always sung in Portuguese! The song has been interpreted by greats such as Ella Fitzgerald, Oscar Peterson, Dizzy Gillespie, and Al Jarreau among many others. I also like the version by South African singer Miriam Makeba from 1966. A more recent version by Sergio Mendes featuring the Black-Eyed Peas was a huge success introducing this tune to a new generation. There are many other songs by Benjor that are very popular worldwide such as “Pais Tropical” and “Chove Chuva” and “Cadê Tereza”. Jorge Benjor is also a big soccer fan. His team is Flamengo. 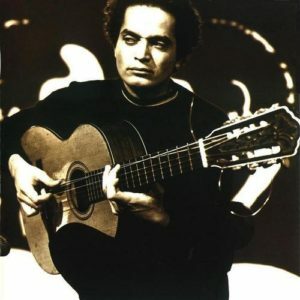 He has written many songs related to soccer – a good example of this is “Flamengo”, “Ponta de Lança Africano”, “Fio Maravilha”, and “Zagueiro” among others. Benjor has recorded over 40 albums. Jorge Benjor has received many awards in Brazil and abroad including the Latin Grammy Lifetime Achievement Award in 2005. 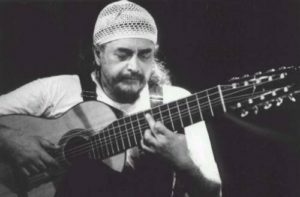 Baden Powell de Aquino, widely known as Baden Powell and born in the city of Varre-Sai in Rio de Janeiro, is immensely revered as a premier acoustic guitarist in Brazil. 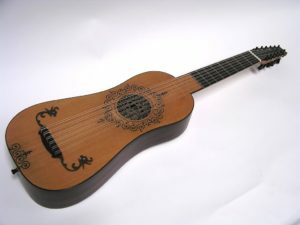 Baden created a guitar style that is unmatched – a classical guitar technique with popular music harmony and phrasing. Baden became known for his Bossa Nova tunes, samba, and Brazilian instrumental songs, a Brazilian style of Jazz, and MPB. His father liked scouting therefore naming his son Baden Powell after the founder of the Boys Scouts Robert Baden Powell. Baden started his guitar lessons with Jayme Florence, an influential choro guitarist of Rio de Janeiro, in the 1940’s. He soon was known to be an excellent guitarist and started to perform with orchestras and small ensembles. Vinicius de Moraes, born in Rio de Janeiro in 1913, was known as “poetinha” – a term of endearment meaning the little poet. 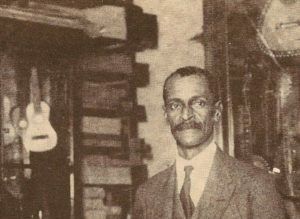 Vinicius’ venture into writing started in the 30’s when he wrote two poetry collections, “Caminho Para a Distancia (“Path into Distance”) (1933) and Forma e Exegese (“Form and Exegesis”). In 1943 Vinicius de Moraes entered the Brazilian Foreign Service working at the Brazilian Consulate in Los Angeles. He continued writing releasing several books Caminho Para a Distancia (“Path into Distance”) (1933) and Forma e Exegese (“Form and Exegesis”). As a diplomat he also served in Paris and in Rome. In the 50’s Vinicius de Moraes wrote film reviews for the newspaper “A Última Hora.” In 1956 he returned to Paris as a diplomat and co-wrote his first samba “Quando tu passas por mim” (“When You Go By Me”). with Antonio Maria, a writer, chronicler and radio personality. 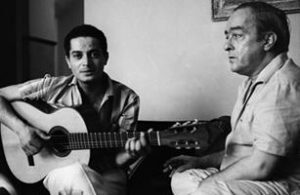 In 1956 Vinicius de Moraes meets pianist Antonio Carlos Jobim and started writing songs that later became known as Bossa Nova. 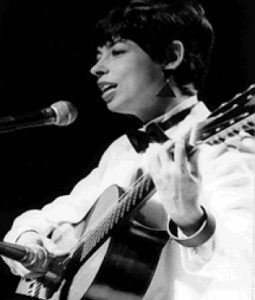 In 1958 singer Elizeth Cardoso records the album “Canção do Amor Demais” with several compositions by Vinicius and Tom. Many consider it to be the first Bossa Nova album. Songs by Vinicius de Moraes and Tom Jobim were all time hits recorded by numerous singers and musicians worldwide such as “Garota de Ipanema” (The Girl From Ipanema), “Insensatez” (How Insensitive), “Chega de Saudade” (How Insensitive). 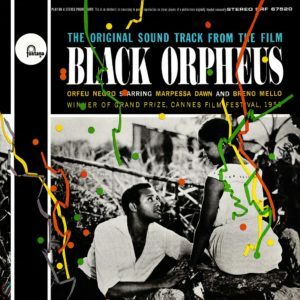 Vinicius de Moraes’ play “Orfeu da Conceição,” a reworking of the story of Orpheus and Eurydice and set in the carnival in Rio, was adapted into the very successful film “Black Orpheus” – it won an Academy Award in 1959 as the Best Foreign Language Film and the Palme d’Or at the Cannes International Film Festival. 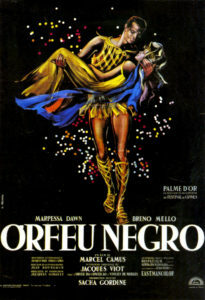 The film was a co-production among France, Italy, and Brazil, and included a song by Jobim and Moraes, “A Felicidade”, which became an international hit. 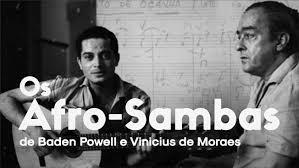 In 1966 Vinicius de Moraes and Baden Powell take Brazilian music to a different direction. Here we have a phenomenal guitarist and composer and a revered poet and songwriter, Baden and Vinicius, recording the album “Os Afro Sambas” with songs such as “Canto De Ossanha”, “Canto De Iemanjá”, “Tempo de Amor” among memorable others. This album played a role in bringing about aspects of Afro Brazilian culture into Popular Brazilian Music. 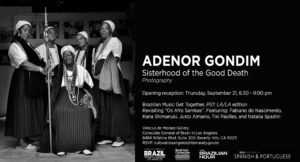 The two musicians brilliantly explored the Afro Brazilian religious music of Candomblé and, as a result, made it accessible to the Brazilian mainstream. The partnership between Vinicius de Moraes and Baden Powell was one of the most intense in the poet’s career. After forming the duo, they spent almost three months living together and writing nonstop in the apartment where Vinicius lived in Laranjeiras a district in Rio de Janeiro. The partnership kept going on in many places, including Paris, where they lived for a period of time. 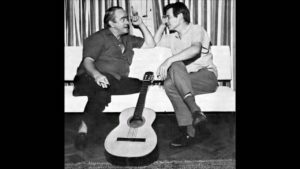 Besides a series of sambas which had led the lyricist, Vinicius, to other music styles besides the Bossa Nova, the duo created a kind of Bahian-Carioca samba, introducing a sounding and poetry until then unpublished: The Afro Sambas. Never miss an event! Not on our e-mail list? Join here!